EA announced earlier this month that they&apos;d be sending copies of Mass Effect 3 into lower space a week or more before its actual release, and they really weren&apos;t kidding. The first two were launched on Thursday from San Francisco, the third yesterday from Vegas, and the fourth today from New York. So far all of them have been recovered. 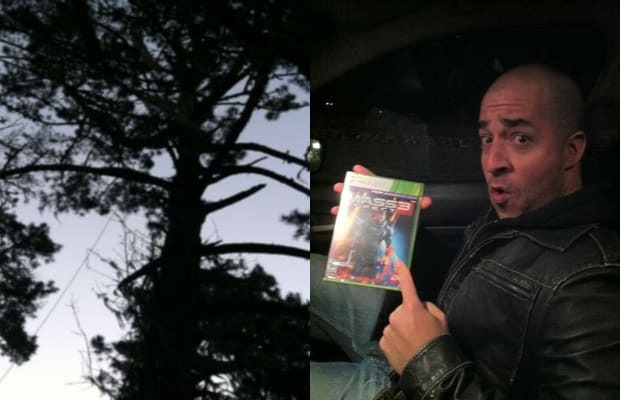 One of the first two landed up in a tree North of Santa Cruz, reports Wired, and about 10 fans were on hand to get it down. The third was located out in the Arizona desert by a redditor&apos;s cousin; check out the discussion thread here. There are still more ME3-equipped weather balloons set to launch from London and Berlin over the next four days, so if you happen to live in the UK or Germany you might want to follow their progress on MassEffect.com and try to grab one for yourself.